The new Note phone is expected to be bigger, have more generous storage and tout improved camera performance in low light. Enthusiast sites have been reporting leaks on the new phone, to the point Samsung New Zealand posted a promo video of the new phone to its local YouTube channel. At the Galaxy Unpacked event, Samsung is expected to show a Note screen that's slightly larger at 6.4 inches, up from the current 6.3-inch OLED screen, which would make it the largest smartphone release to date. The new Note is expected to have expandable storage from a micro SD card of up to 1 TB, which would be quite a feat since the current microSD card with the biggest storage we've been able to find is 400 GB, selling for $170. The current Note maxes out at 256 GB. 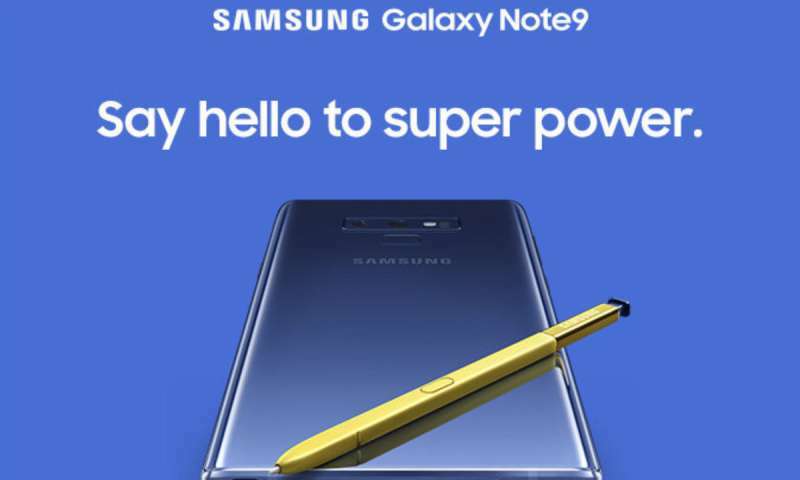 According to the many enthusiast sites that pick up leaks from all over the world, the new Note is also expected to have a longer-lasting battery. By comparison, the current top of the line iPhone, the X, has a 5.8-inch screen, and the 8 Plus model has a 5.6-inch screen. The new Note is expected to sell for over $900, compared to $1,000 for the iPhone X and $850 for the iPhone 8 Plus. Samsung sells more phones, per unit, than any other company. According to market researcher TrendForce, Samsung will ship over 300 million in 2018, compared to just over 200 million for Apple's iPhone. But the iPhone is the most popular phone by far, outselling the premium galaxy by 10 to 1. Most of Samsung's phone sales are on the low end.